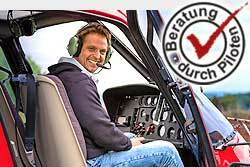 Fly with your passengers to the Chasseral, the highest point in the Bernese Jura. Enjoy the flight to the oldest nature reserve in Switzerland, the Creux-du-Van, a unique view of the Seeland. The return flight leads over the fascinating St. Petersinsel. Exclusive flight - route and dates of your choice.